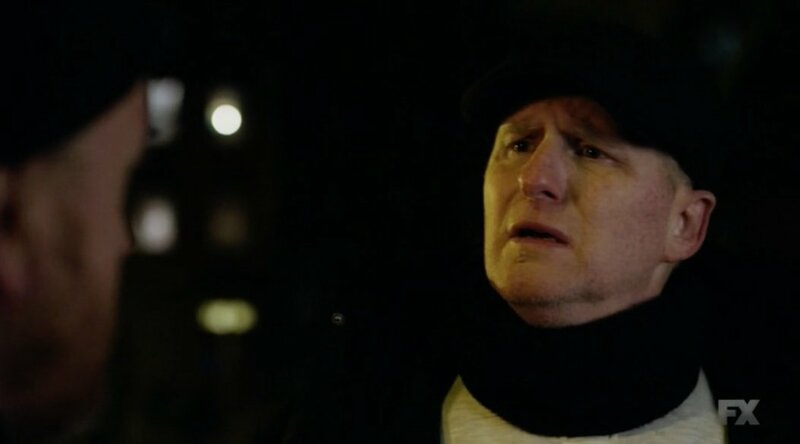 The episode starts off with our frequently-put-upon protagonist Louie (played by real life stand-up comedian Louis CK) getting stopped by a cop. At first, he’s genuinely worried. Then he realises that it’s just Lenny, a boorish loudmouth cop who used to date his sister. 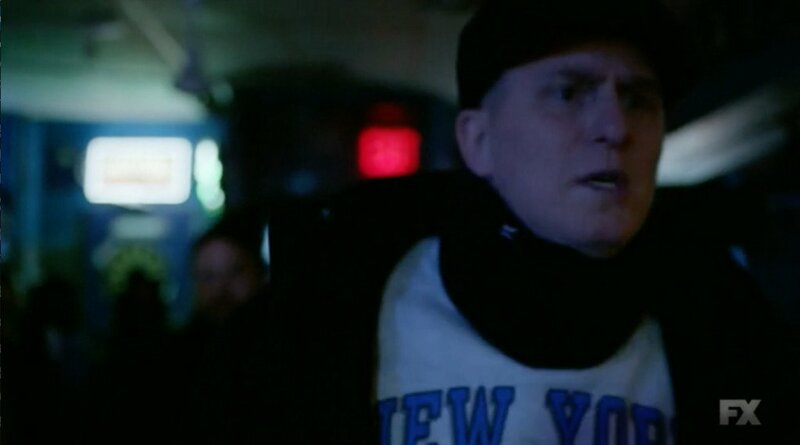 Lenny invites Louie to a Knicks game. And by “invites” I mean he badgers and bullies Louie into going with him. 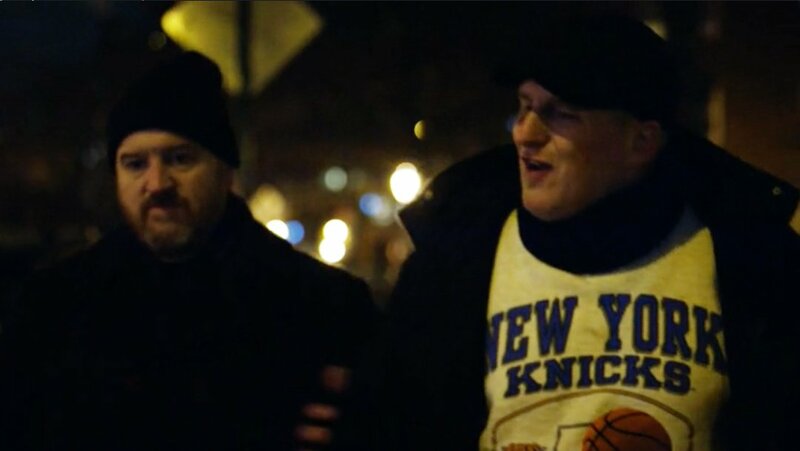 Then, Lenny barges into Louie’s apartment like a pushy goon (I love how Louie hides his knitting under a cushion) and the two head off to the Knicks game. But the evening is about to get worse. Outside Madison Square Garden, this cop is on patrol. Turns out Lenny didn’t buy tickets to the game and was betting on sneaking in via the old flash-the-badge-I’m-a-cop routine. Doesn’t work and the boys are shut out. The boys head to a bar and Lenny dominates the conversation, lamenting the fact that he can’t find a woman. 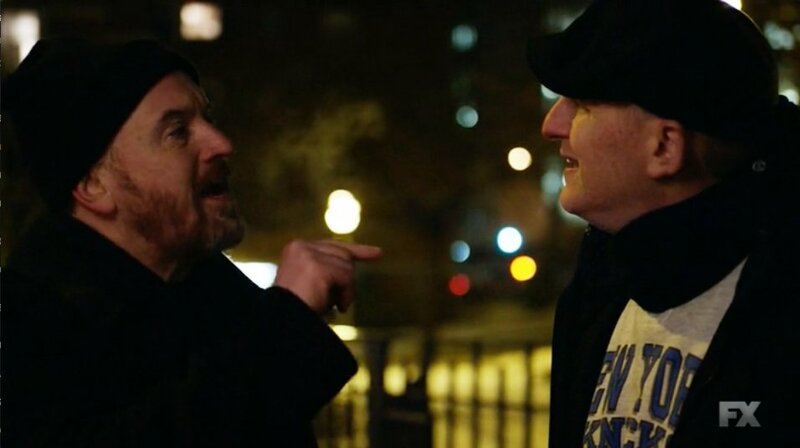 Louie can’t get a word in and Lenny doesn’t get much sympathy with lines like, “The thing that pisses me off about you is that you’re below average … you’ve got no kind of face at all and you’re fat. But me? I’ve always been attractive to women.” Sure, Lenny. The boys head out and Lenny, in his stream of chatter and casual insults, gets in one more verbal punch. 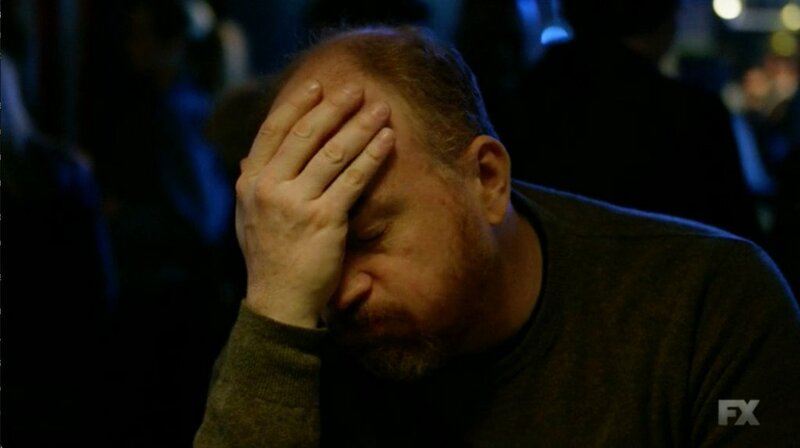 “You’re just not that funny,” he says to Louie, who is a professional comedian. You can’t help feeling bad for Lenny and thinking of all the brash, irritating, socially inept people you’ve known in your life, and how they must suffer in their isolation even as they lack the tools to change. But this being Louie, things don’t stay static for long. Suddenly, Louie asks, “Lenny, where’s your gun?” And what follows is a wild goose chase, re-tracing their steps to find Lenny’s gun. 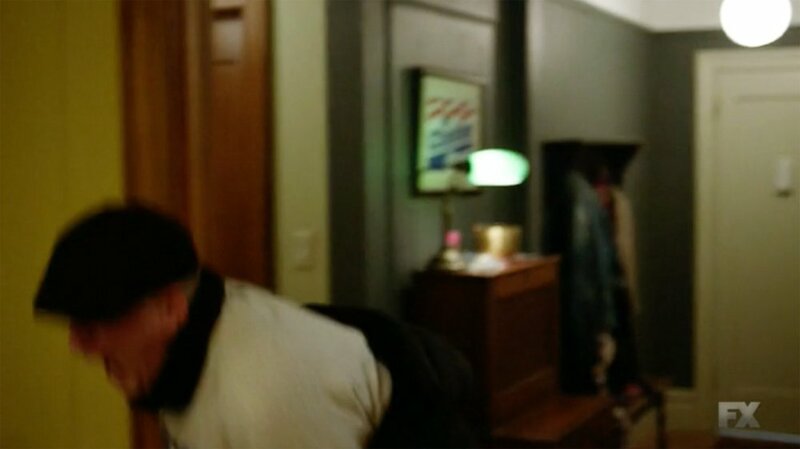 They can’t find the gun and head back to Louie’s apartment where Lenny reaches a new level of mania. He thrashes around like an overgrown toddler, throwing furniture and shouting, “Where is it, Louie? Where is it?” It’s actually terrifying to watch. At one point, Lenny uncovers Louie’s knitting under the cushion and stops to stare at it in confusion. 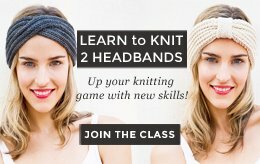 The Knitting, What Does it Mean? 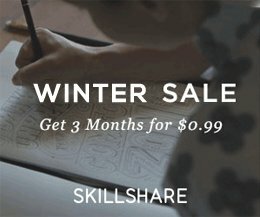 Let’s analyse the knittings scenes like we’re a couple of sophomores in the common room! 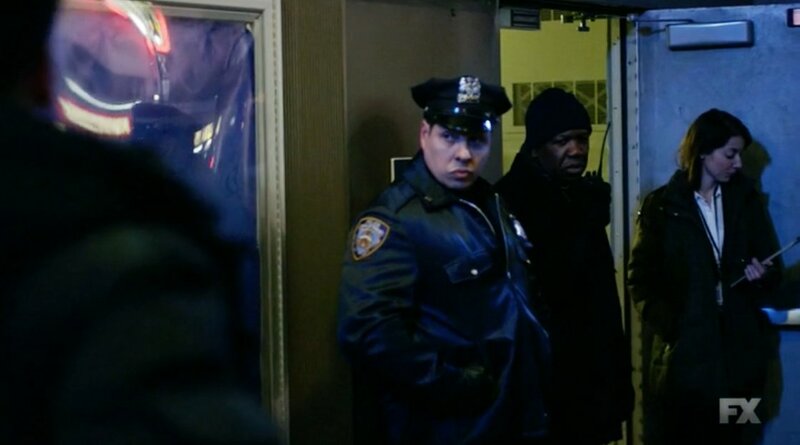 What do you think is going on with our fair craft in this episode of Louie? 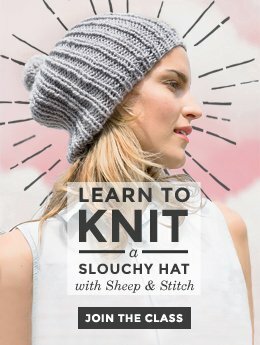 My take: Knitting represents sensitivity and care. The episode opens and closes with two scenes of knitting. It starts with a scene of quiet relaxation that is intruded on by Lenny. The quiet mindfulness of knitting is contrasted with Lenny’s loud rashness. 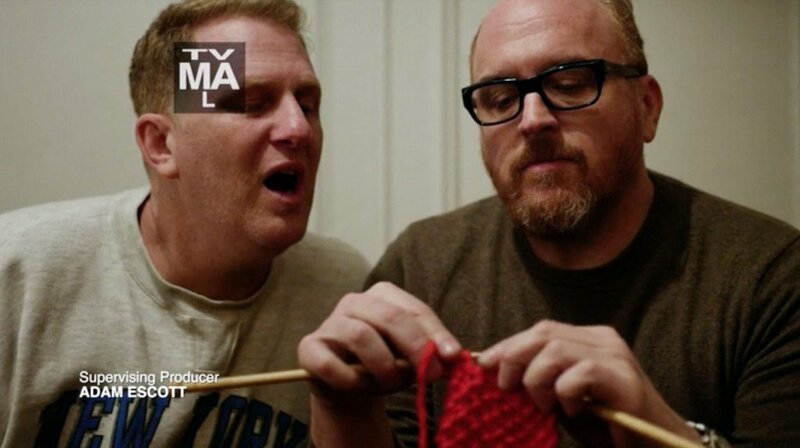 The fact that Louie hides his knitting before letting Lenny in suggests that knitting is an activity that Lenny wouldn’t understand or appreciate. Lenny seems to be antithetical to the whole concept of knitting. 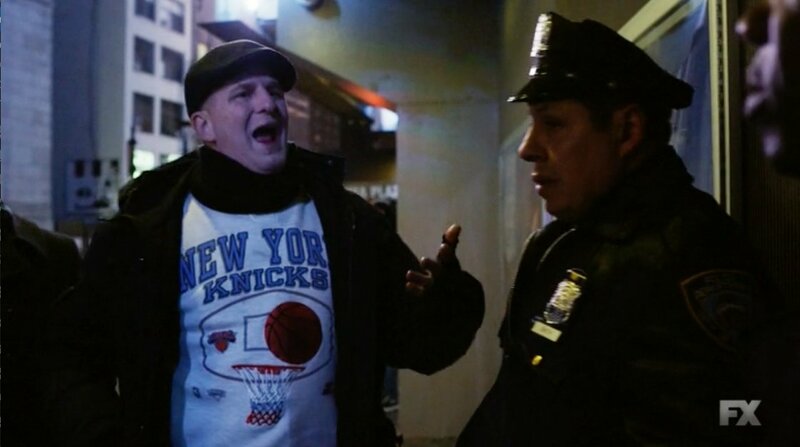 In fact, the whole evening as dictated by Lenny is full of insensitive, “unmindful” activities – waving a gun around, trying to sneak into a Knicks game, casually throwing around insults, light bullying. There’s no room for quiet contemplation as represented by knitting in Lenny’s universe. 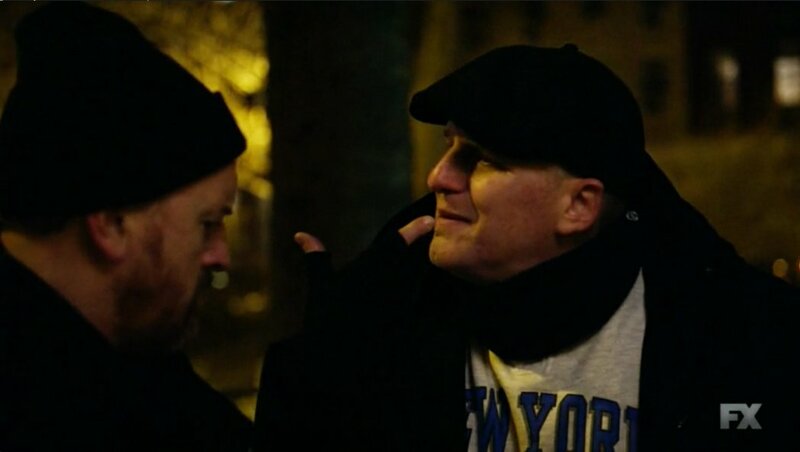 However, that all changes after Louie’s confrontation. 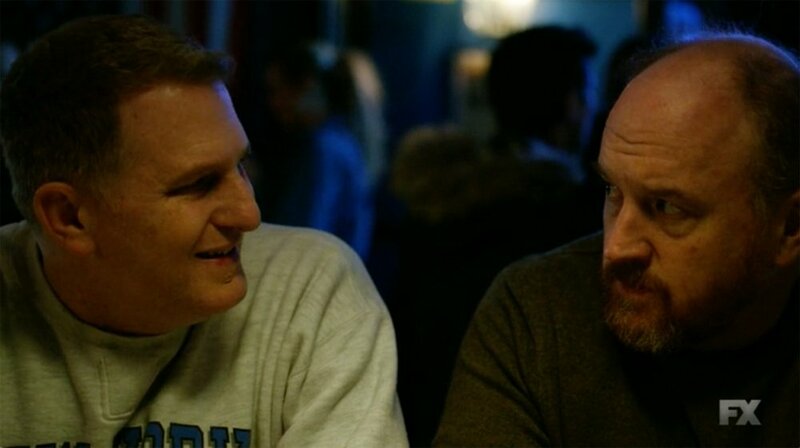 Lenny makes himself vulnerable by telling Louie just how lonely he is. Then Lenny realises he’s lost his gun and he moves rapidly through the five grief stages until he’s regressed to a helpless, sobbing infant with his head in his hands. Losing the gun has jolted Lenny to a new consciousness. While Lenny is not exactly sensitive, he’s vulnerable and for the first time in the evening, he actually thinks about the consequences of his actions (losing his gun means a weapon is now loose in the city). 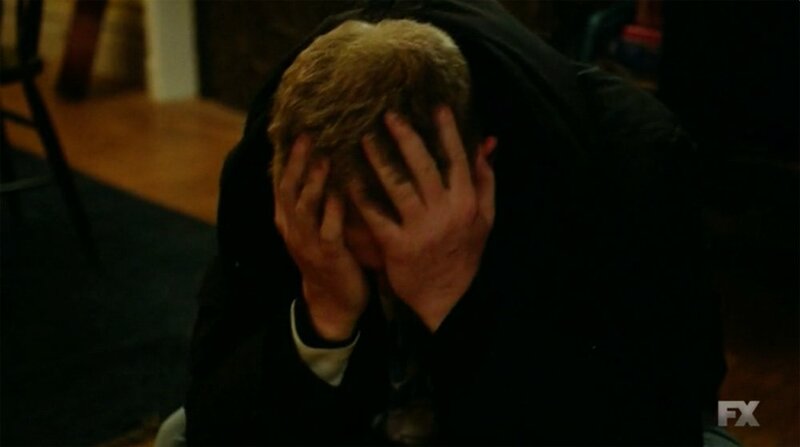 When Louie comes back with the gun, Lenny races towards him and hugs him with big gulping sobs. The two are connected by the experience. 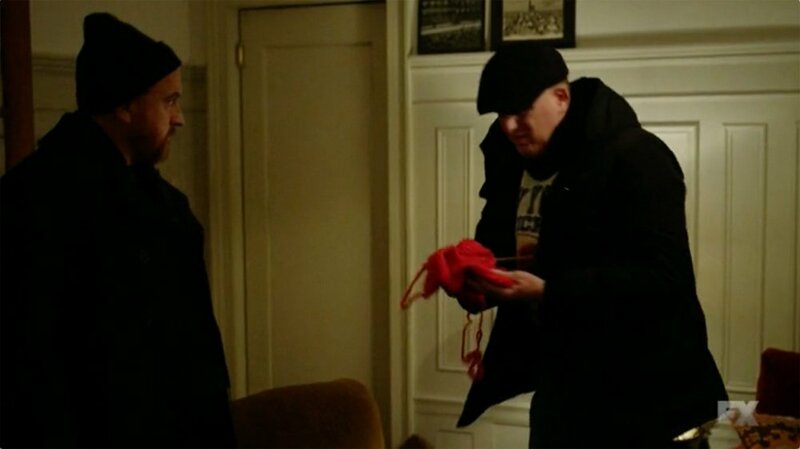 In the last scene, Lenny is able to accept and appreciate Louie’s sensitivity and care, as represented by Louie knitting. In fact, Lenny is learning from Louie, since it’s Louie who’s teaching Lenny how to knit (“You dig in back there, and while it’s still here, you do this thing. You got that? And then you dig in there in the front and you pull it off”). Your Take: Have you seen this episode of Louie? What do you think?